Clearance Deal. Only 4 in stock. First come, first served. 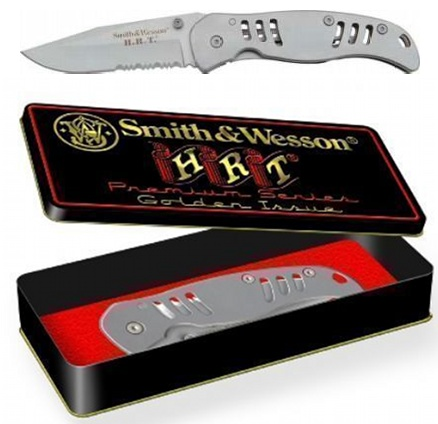 This is a collectible tin containing the Smith & Wesson SWFL1 knife. This knife has a drop point combo edged blade with bead blast finish and made of 440C stainless steel, and a stainless handle that locks with Frame Lock.